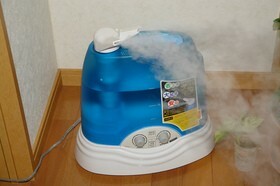 A humidifier is designed to put more moisture into the air. 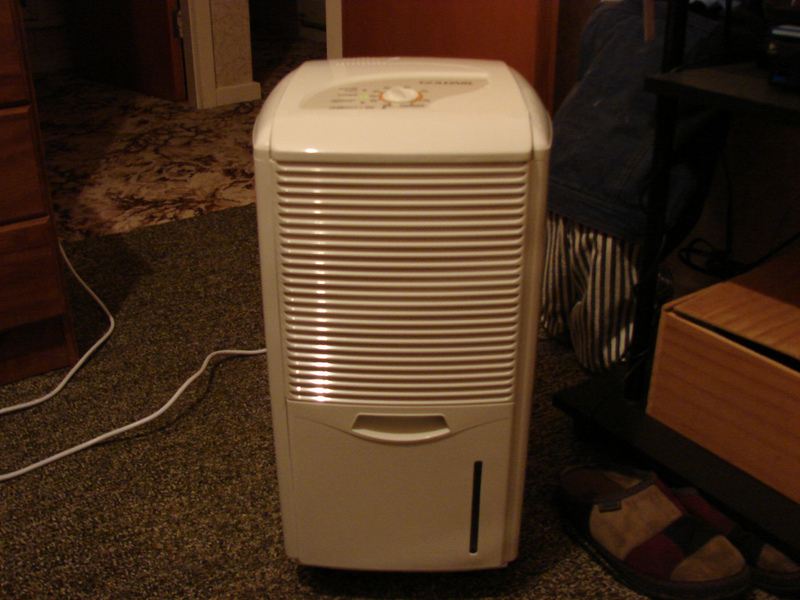 A dehumidifier takes moisture out of the air. Generally speaking, you shouldn’t need a humidifier in the summer months; most people need them only during the winter months when the weather is dry and cold and heaters tend to make the air inside very dry. If you are experiencing dry skin, cracked lips, itchy eyes, or you are getting shocked every time you walk across the carpet, then chances are you don’t have enough moisture in the air and you might benefit from a humidifier. If rooms in your home feel stuffy, you have rotting wood or wet stains on either the walls or ceilings or both, then you might want to consider investing in a dehumidifier. The only way to know for sure whether or not you need a humidifier or dehumidifier is to purchase a hygrometer. A hygrometer is a special thermometer that can measure the amount of moisture in the air. Ideally, your home should be between 30% and 50% humidity to be normal and healthy. If your home is below 30% humidity, then you should consider investing in a humidifier. If it’s over 50% then a dehumidifier is your best choice. You should measure the amount of moisture in the air in each room of your house at different times of day. 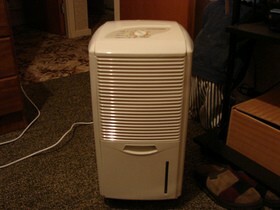 You may not need a humidifier or dehumidifier for your entire home (which is good, because that can be very expensive). Before you run out and buy a humidifier or dehumidifier, there are a few things you should know. First of all, there are humidifiers that are made to cover just one room, and there are some made to cover your entire house. Generally speaking, if you intend to purchase a humidifier or dehumidifier that only covers a room thinking it will cover your whole house if you leave doors open… you’re wrong. It may moisten (or dry) the air depending on your situation in other areas, but the farther away from the unit the other areas are, the less moisture will be added to or taken away from the air. Also, if you buy a smaller unit and then expect it to do your entire home, you will find that the unit does not last as long — which of course defeats the purpose of saving money by buying the smaller unit. Understanding what areas of your home need (or don’t need) extra moisture by measuring each room with the hygrometer is the best way to make an informed decision about whether or not you need should invest in a humidifier or dehumidifier. You may find after measuring the rooms in your home that, most of the time, your moisture levels are between 30% and 50% — so would be no need to purchase either a humidifier or dehumidifier. However, also knowing that maybe only one or two rooms need a unit can save you a lot of money, reduce allergy symptoms, and eliminate those "shocks" you get every time you walk across the carpet in your home. Many people run right out to purchase the largest unit for their entire home, only to discover that they didn’t need to — after the fact. They could have done the job much less expensively by purchasing a smaller unit. By taking the time to educate yourself ahead of time, you will be able to make a good decision when it comes to choosing a humidifier or dehumidifier for your home.